The UK's Number One Destination for Hot Tubs and Swim Spas. Pool-dek supply pool covering infill systems to help you truly utilise the space your pool room provides. Welcome to Beaver International, specialists in all aspects of swimming pool design, installation and maintenance. With over 45 years of experience, we offer a comprehensive range of services to commercial and residential customers across the UK and abroad, installing both indoor and outdoor swimming pools of exceptional standards. Classic Swimming Pools design and build indoor/outdoor swimming pools, hydrotherapy pools and leisure center pools for both residential and commercial markets. The process starts with attractive and innovative design concepts and detailed architectural drawings, leading through to constructing the swimming pool and building and the installation of the specialist pool equipment. We process the design, technical and manufacturing resources to provide a full design and build service throughout. Contact us for an initial discussion and we will show you how we can help your dream of an indoor/outdoor swimming pool become a reality. We make it easy ... experienced professionals will manage the entire project, from initial site survey, design and planning, through to final commissioning of the finished building. Swimming pool buildings can incorporate a whole range of extra features including saunas, whirlpool spas, changing rooms and gymnasiums or games rooms to provide your very own leisure center at home. We supply beautiful, reliable hot tubs throughout the UK. Our customers look for quality and affordability in their hot tub choices, and we aim to please. With thousands of customers across the UK, it doesn't matter if you're looking for cheap hot tubs or premium hot tubs, the spa of your dreams is in our fantastic collection. 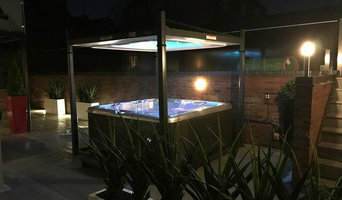 We also offer plug & play hot tubs, and even round hot tubs which are becoming more and more popular as years go by, for people with smaller gardens or just people who want something a little different. 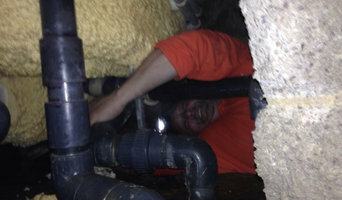 Here are just some of the services I provide: Swimming Pool & Spa maintenance Summer opening, winter closing Liner installation and repairs Summer and winter covers fitted Leak detection Pipe work repairs Swimming pool supplies Circulation pump supplies and repairs Filtration sand change Please get in touch with me for more details. We are dedicated to the professional installation of swimming pools, and we have a wealth of swimming pool construction experience. Our exceptionally experienced team of swimming pool builders only work in this field, so they are completely focused 100% of the time. 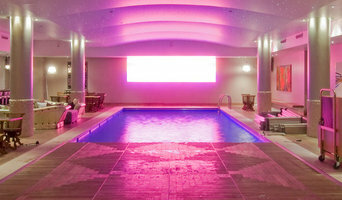 They have a broad range of experience with all types of pools and terrains. Of course, we don’t all have the room, money or climate for our own swimming pool, but hot tub prices are usually less than swimming pools' and are a more compact, weather-enduring option, too. With Leicester, Leicestershire hot tub suppliers available on Houzz, you can compare prices, photos of hot tub installations, reviews, recommendations and ratings from previous clients. 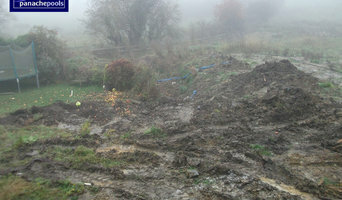 How will Leicester, Leicestershire hot tub and swimming pool builders install my pool/hot tub? Do you want your Leicester, Leicestershire swimming pool builders or hot tub suppliers to help you with maintenance and repairs? Find swimming pool builders or specialists on Houzz. Narrow your search in the Professionals section of the website to Leicester, Leicestershire swimming pool builder or hot tub supplier. 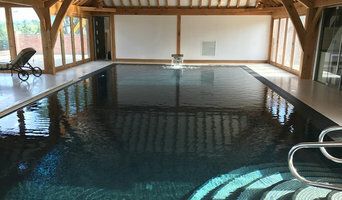 You can also look through Leicester, Leicestershire photos by style to find a swimming pool installation or hot tub installation you like, then contact the specialist or builder who designed it.